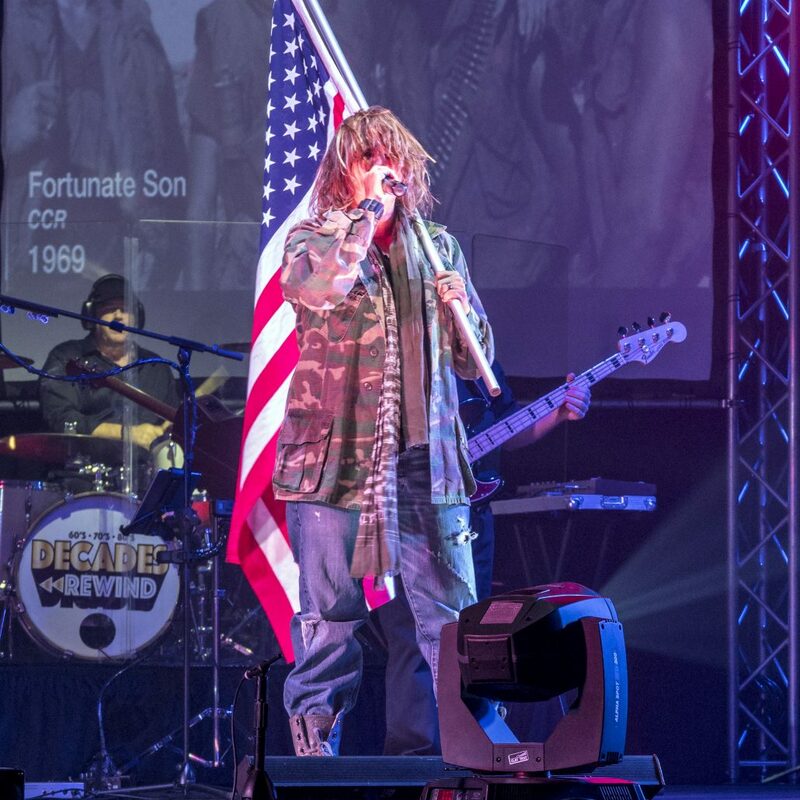 Co-founder of Decades Entertainment, Peter Gatti has been playing keyboards since he was 8 years old. What started as organ lessons turned into a lifetime passion. Playing with many bands throughout his teens and 20’s in Northeast Pennsylvania, he has played before thousands of people with Passage, a top notch NEPA band of the 80’s. He has been honored to share the stage with world-renowned bands, Dakota and Head East. Now sporting numerous keyboards for his current projects and studio work, he owns both vintage and state of the art keyboards. His rig is a throwback to Dennis DeYoung and Rick Wakeman. It is not uncommon to see a Hammond B3 or an old “Wurli” on stage at a Decades Rewind™ performance. He also owns and operates Studio G , a high-end Tampa Florida studio used by many local and national artists. Playing drums since the mid 60’s, Mark Blinkhorn has spent most of his life making neighbors unhappy. Whether it was marching bands, orchestra, rock, jazz, and even polka bands, Mark always enjoyed playing for anyone who would listen. Taking a slight hiatus to raise a family and make a career as an EMT/firefighter, Mark never lost his zeal for performing. 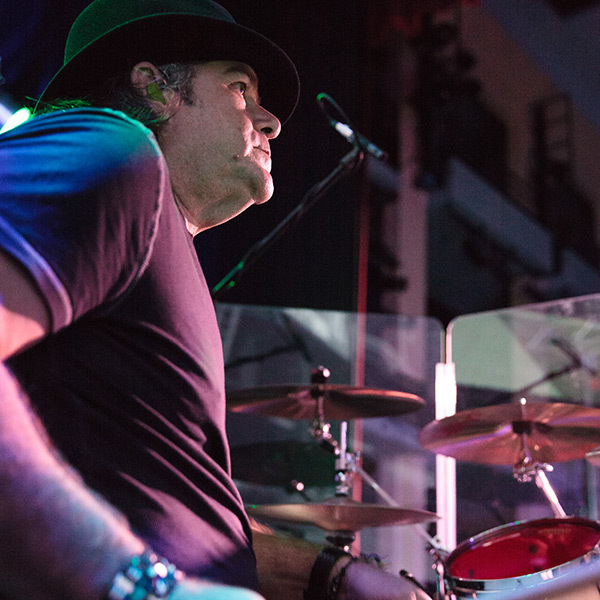 Recently retired, Mark is back full-time playing drums and co-producing Decades Rewind™. His shared vision of Decades Rewind™ is now coming to life with the help of so many talented friends and artists. We all hope this show brings back the amazing memories of your lives. Mark would like to thank his amazing wife and children for their unending love and support and to his partners in crime, Peter and Al, for all they’ve done to make this dream a reality. Rock On! Singing since a young age, Coya has always had a passion for music. 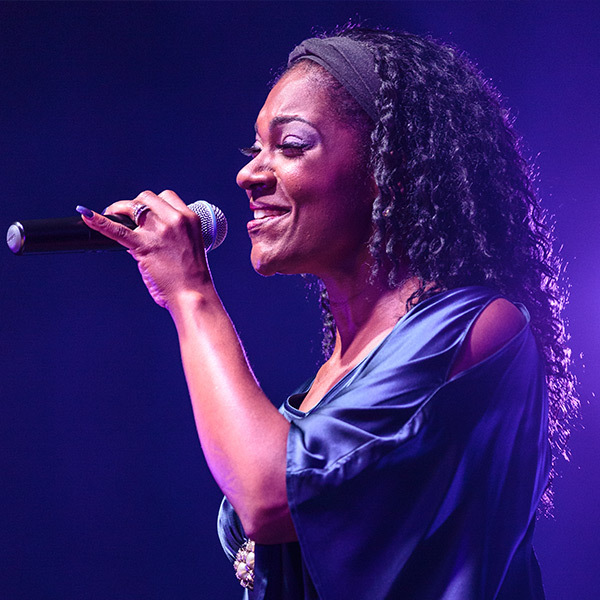 She has graced many a stage performing in plays in lead roles of “The Life”, “Smokey Joes Cafe”, the beloved musical “Katonga”, and “Rock of Ages”. Music has taken her on a journey around the world living out her dream, touring with shows, musicals, bands as well as solo performances. Inspired by the greats of Whitney Houston and Aretha Franklin, Coya’s vocals shine both in versatility and personal style. Coya is thankful for the gifts God has given her and is honored to share her passion for music and theatre with all that come into her life. Vocalist Ashley Renée publicly performed in a church Christmas play at the age of four. Since that time, Ashley has performed in hundreds of competitions and pageants throughout the U.S. Ashley’s music career eventually led her toward the world of classical music. She was classically trained for 5 years and was accepted to Stetson University’s School of Music to study opera. Although she enjoyed the challenge presented by classical music, her true passion lay with the music of her childhood. 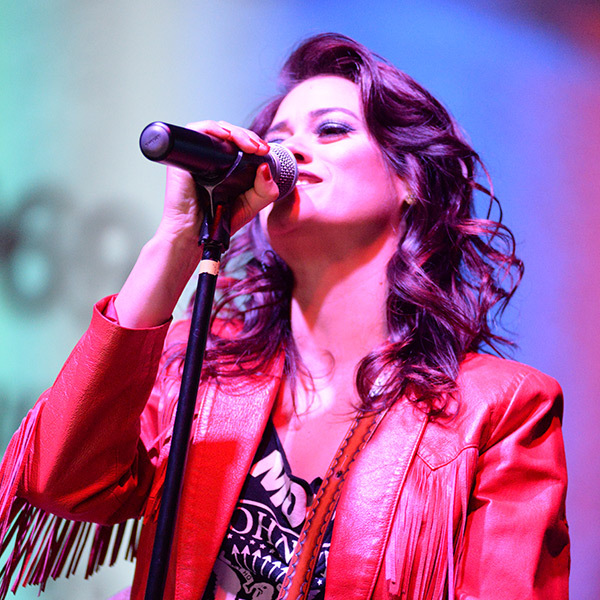 Since then, Ashley has returned to her soul, R&B and bluesy rock roots. She has performed the National Anthem for over 100 college athletic events such as the Pittsburgh Pirates and Major League Soccer, charities and various other venues throughout Florida. 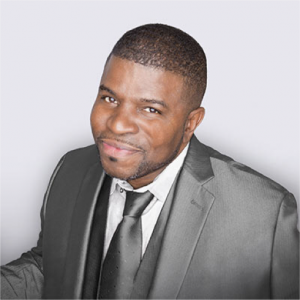 Calvin C. Jones was born and raised in East St. Louis, IL, and grew up idolizing Michael Jackson & Stevie Wonder. He started singing at an early age, then joined the vocal group Men Of Note at 13 and traveled the world as one of their lead singers for many years. Singing led to a passion for theater, and he went on to be featured in shows such as Dreamgirls, Fabulous 50’s, & Little Shop of Horrors, and brought his talents as a lead singer to the group SouthTown Fever. Rockapella had the good fortune to find Calvin while he was showcasing his silky smooth voice as a featured singer at Busch Gardens, Tampa, FL. He’s been touring the world with Rockapella for four years now. Frank is a singer/actor from Gainesville, FL. He is a 25-year stage veteran with various experience, both on and off stage. Frank has performed at Busch Gardens Tampa for over eleven years and in various bands and functions since moving to the Tampa area in 2004. 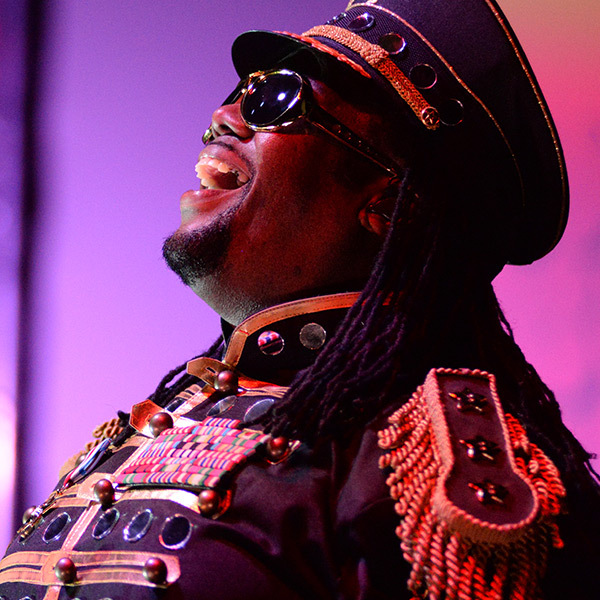 He is pleased to be performing with Decades Rewind™ and looks forward to a grand adventure. Lisa has been writing and performing music since the age of 18. She has recorded with legendary producer Sylvia Massy (who has worked with Tool, Johnny Cash, and Prince). She also recorded her latest release from her original project “Seven Years Past” with Goo Goo Dolls bassist Robby Takac at his studio in New York. Two of the bands she has fronted have made it to the semifinals in the Hard Rock Rising competitions in Tampa several times. She has shared the stage with some of the best rock bands including Kid Rock, Def Leppard, Rob Zombie, Saliva, Alien Ant Farm, and many more. She is known for delivering powerful stage performances that give you chills. Lisa continues to work on original music with Seven Years Past. Born to missionaries, Al Owen rebelled through music and sang rock and roll music that his father insisted was demonic. That did not deter him, with guitar in hand, he has been playing music for many decades now. Former minister of music at his church, he is still active with the music at his church. He is an engineer/producer at Studio G and a very accomplished guitar player and vocalist. In addition, Al is also a song writer and has written many songs that have appeared on CD’s throughout the US. 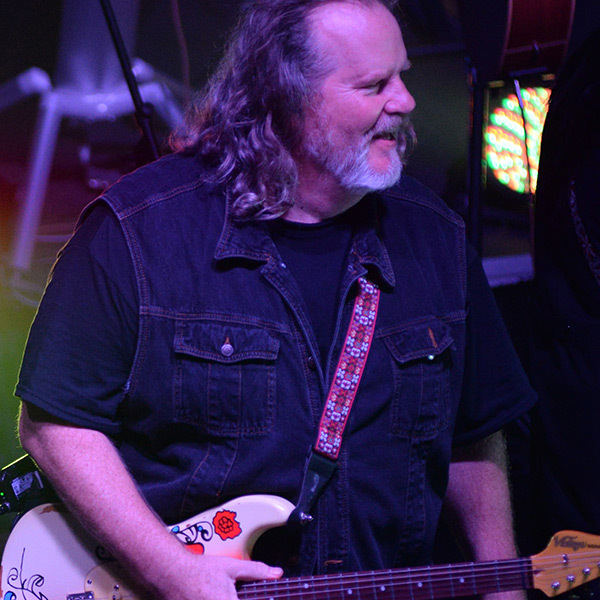 Al has been privileged enough to play guitar, both privately and publicly, with Dickey Betts, Dan Toler, Rick Derringer, Martin Turner, Larry Crane and Bruce Waibel. Jimmy Delisi started playing guitar at an early age. Being raised in one of Cleveland’s poorest projects, his first instrument was a five dollar guitar he bought from a neighborhood kid. His first “lessons” were various licks learned from the older children in the neighborhood. Jimmy has been recorded on countless albums and studio sessions with various instruments including the banjo, bass, mandolin, drums, keys and of course, the guitar. 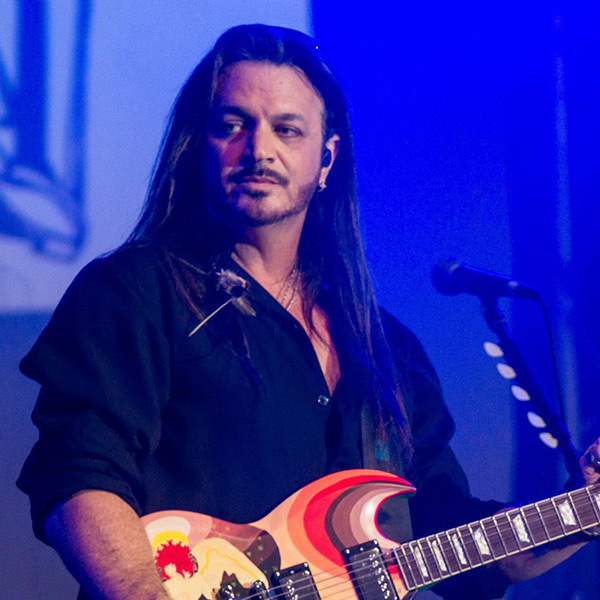 His resume is impressive, having played with Kevin Dubrow, Frankie Banali, Killer Bee, Brian Johnson’s Naked Schoolgirls and Saints and Sinners. He recorded his first record in 1988 and landed his own record deal with Capital Records in 1989 with a band called Julliet. Also a producer, Jimmy produced Julliet’s come back album in 2002. Born in New York the son of Italian immigrants, Leo Binetti’s interest in music began at age seven playing trumpet. At fourteen years old he switched to drums and within a year was playing in his first professional band. By seventeen he switched to bass guitar and it has remained his main instrument for over forty years. He attended Five Towns Music College in Long Island NY receiving a degree in bass and audio. He went on to do countless studio recording sessions and pursue his musical career with numerous bands playing everything from Jazz and Progressive Fusion to Blues and Standards to Rock and even Heavy Metal. His most enduring musical experience was thirteen years with the Brooklyn based, multi-award winning Lex Grey and The Urban Pioneers. 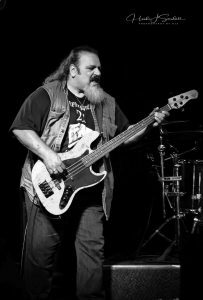 He was also a member of New York bands: Azaza, The Skellingtons, Ten in The Afternoon, Road Kill, LivEvil, Hot Tin Roof, and Street Legal. 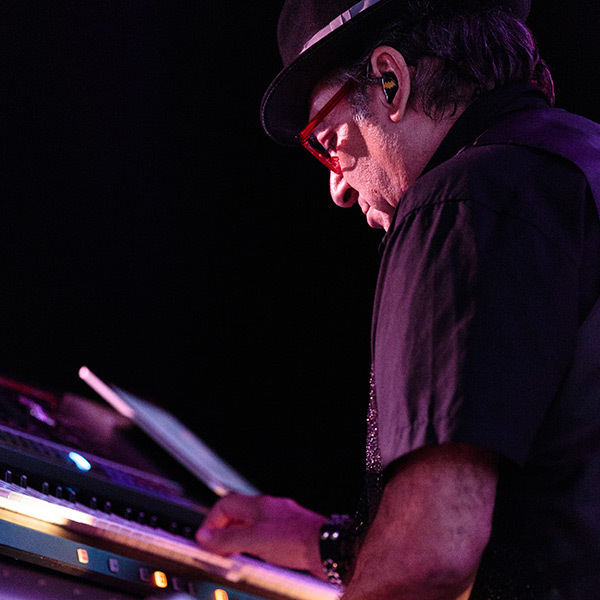 Leo has had the pleasure of sharing a stage with such artists as Steve Morse, Otiel Burbridge, Leslie West, Joe Bonamassa, Southside Johnny, Artimus Pyle and Chris Hicks to name a few. 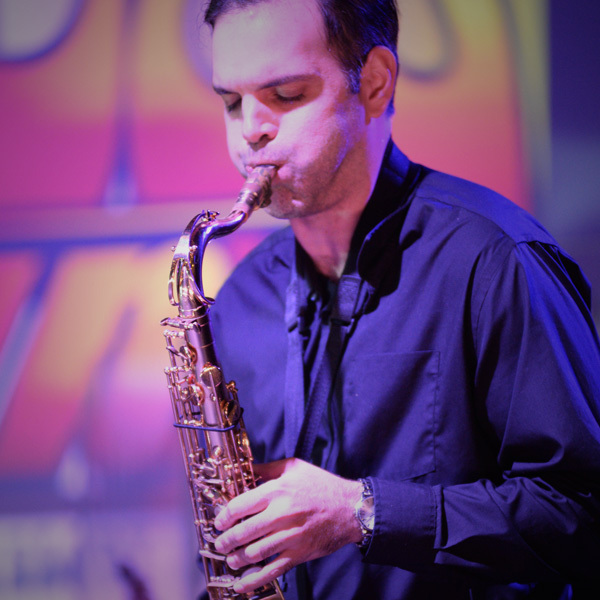 Musician Ryan Redden plays the saxophone and flute. 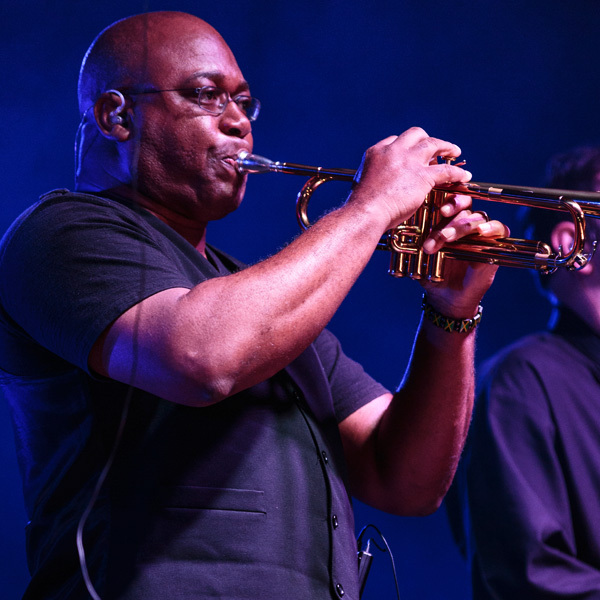 Born in St. Louis, Ryan has toured extensively throughout the world including many Broadway shows and jazz performances.Ryan has performed with elite jazz musicians such as Wycliffe Gordon, Wynton Marsalis, Randy Brecker, Jimmy Cobb and Carl Allen. Notable singers Ryan has performed with include Michael Finestein, Debbie Boone and Harry Connick Jr.
Musician Jimmie Blount, a native of Wichita, KS, graduated from Derby Senior High School. He went on to study music at Wichita State University. In 1987 he enlisted in the navy’s prestigious music program and graduated from the Navy School of Music in Norfolk, VA.
Jimmie traveled extensively around the world while in the Navy performing countless public concerts and exclusively for world leaders and other distinguished dignitaries. In 2006, he returned to the Navy School of Music and attended the Senior Musicians Course. Upon graduating he received the distinction of Enlisted Bandleader for all navy fleet bands. He later received his degree in music from Thomas Edison State University. Throughout his music career Jimmie has backed notable artists such as, Frank Sinatra, Sammy Davis Jr., Liza Minnelli, Dionne Warwick, Burt Bacharach, Jack Jones, Tony Orlando and Dawn, just to name a few of the American artists. Latin American artists he has performed with include, Adalberto Santiago, Tito Allen, David Pabon, Brenda K Starr, and more. Patrick fell in love with music through his mom’s musical interests and began playing guitar. After entering Duke Ellington School of the Art’s summer band camp, he turned to brass instruments. He has studied music from Cuba, Columbia, Puerto Rico, Dominican Republic and Mexico. He plays just about any genre. 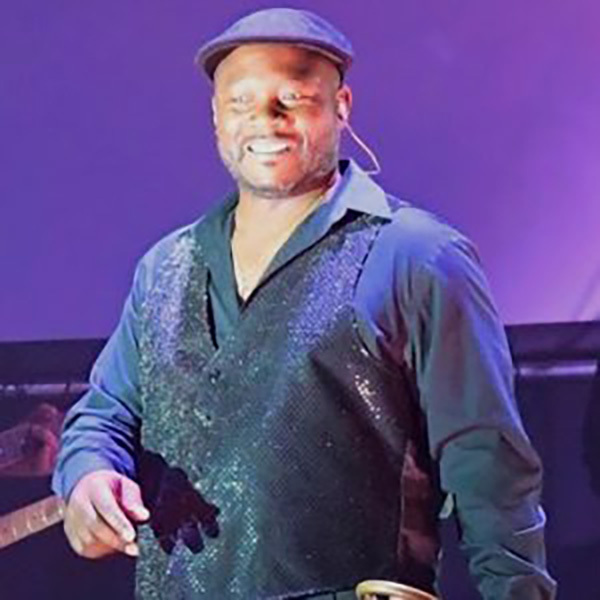 Patrick has performed with Pete “El Conde” Rodriguez, Ismael Miranda, Justo Beantcourt, Marvin Santiago, Tito Allen, Tito Gomez, Paquito Guzman, Cano Estremera Javier Marrero, Luis Felipe, Pedro Jesus, Charlie Cruz, Frankie Negron, La Makina, DL1, Kevin Ceballo, Ray Charles, The O’Jays, The Platters and Reba McIntire, to name just a few. He feels music is a spiritual form of communicating with all people, of all races and it is also where he feels free!